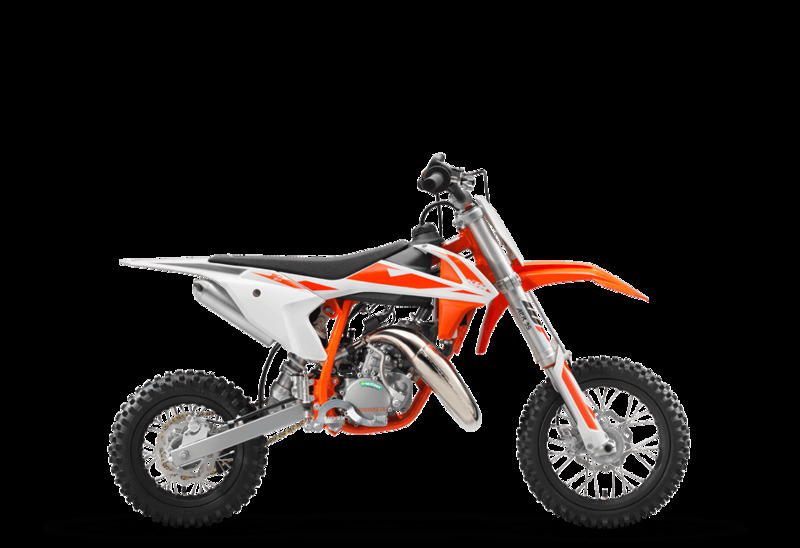 The KTM 50 SX has a modern, fully adjustable air fork: the WP AER 35, made by WP Suspension. This upside-down front fork with 35mm tube diameter and 205mm of travel ensures outstanding comfort, damping characteristics and directional stability. Another main benefit for junior riders is that the air spring fitted in the left fork leg can be adjusted perfectly to the rider's weight just with a simple air fork pump. On the rear wheel a WP shock absorber linked directly to the swingarm provides excellent damping performance and is fully adjustable in order set the damping perfectly to rider's preferences and track conditions. The rear wheel travel is 185mm.